Hello!!! I'm still super busy with the dresses for next week's wedding but I made a stop to show you my page for the Creative Scrappers's new sketch reveal designed by Nicole Niwosad. 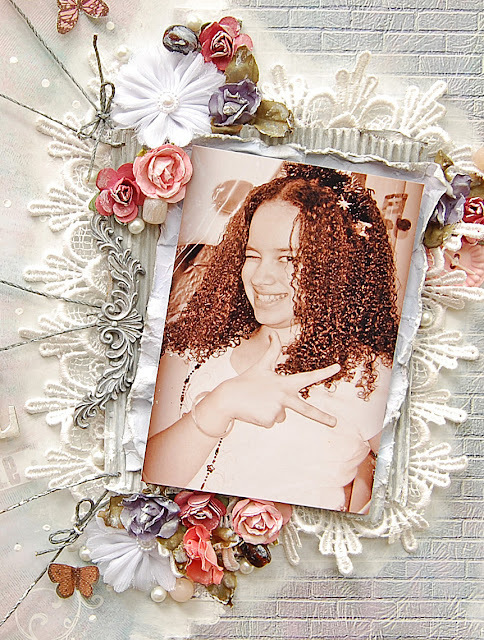 My daughter Paola is always making peace and cool signs so I decided to make a page about this so in the future she can remember how she acted when she was a teenager. 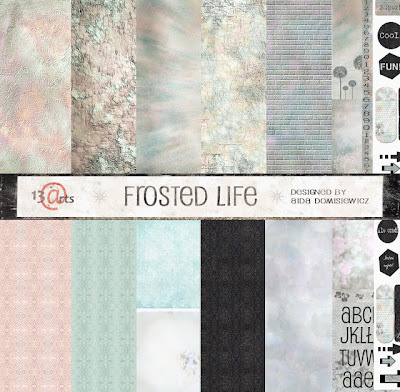 I worked with the Frosted Life Collection by 13 ARTS. I love 13 ARTS papers have beautiful design to play with it!! 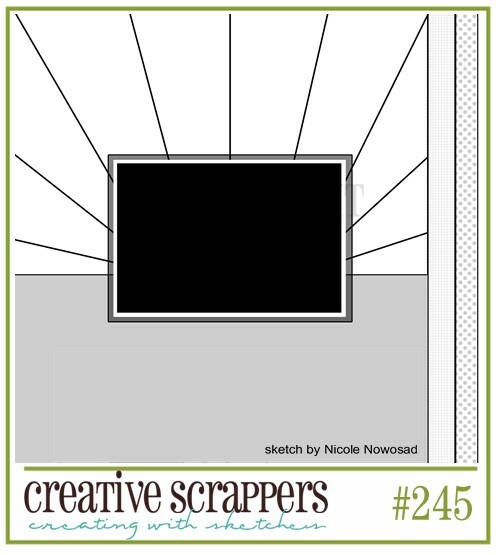 To win a prize package from our January sponsor My Creative Scrapbook Kits complete at least one layout from our sketches #241-242-243-244-245 and upload it using our inLinkz at the bottom of our reveals. The deadline to submit your layout(s) is February 1 2013. Hello!! I just wanted to share a little sneak with all of you of the coming Vintage Spring Basics Collection by Maja Design. I can't wait to play with it. Hello!! I've been working a lot during the last weeks so not much time for blog land these days. Usually January is a slow month at work but this new year I started with a full schedule, making formal dresses for weddings that's what I love to do and in the rush I have not taken any photos of the dresses..not good!! 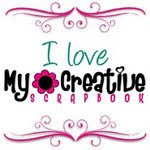 And in the nights although I'm tired I try to sit a little to liberate the stress with....scrapbooking my perfect therapy!!! I will show you today this page that I made with the Ska Vi Ta En Fika? 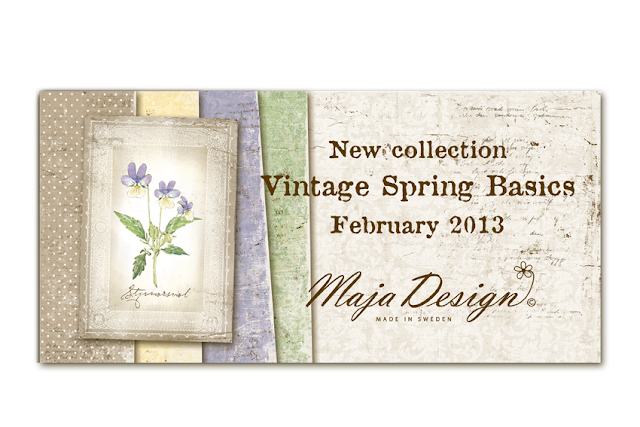 Collection by Maja Design. It's a Beautiful collection that took me a little time to decide which papers I wanted to work with and I chose En Koop Te, Cheesecake and Chaite papers because I love these colors and designs. I took this photo of my niece Sabrina and I've been waiting for the perfect papers for this photo and finally I found them. I love to use the papers to it's fullest and here I made some flowers by hand with the Chaite paper and some pennants with the Cheesecake paper. For my tittle I used a rub-ons and I incorporated fabric and lace to give a feminine look to my work. Thanks for always stopping by, I really enjoy reading your lovely comments...they always make my day!! Hello! 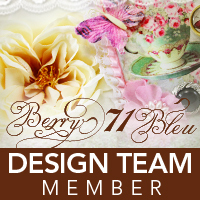 I'm very excited because today is my first post as Berry71Bleu -Design Team Member. 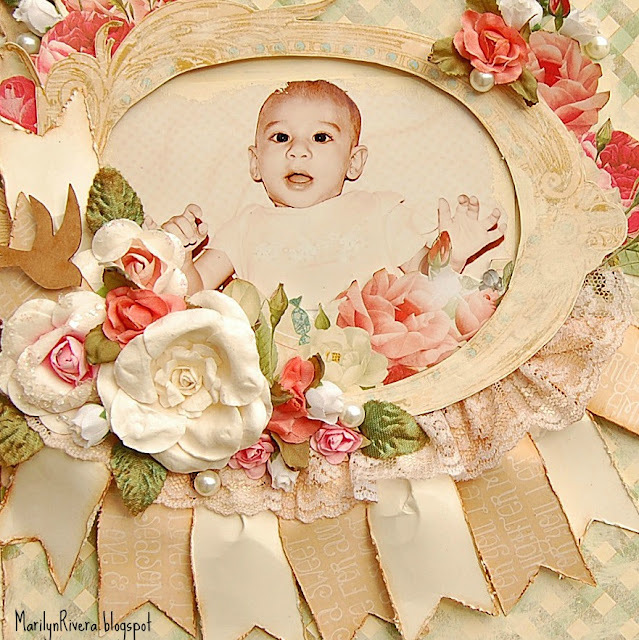 I love the tag that I received from Marivic, look at the girl's expression and the vintage look...so gorgeous! 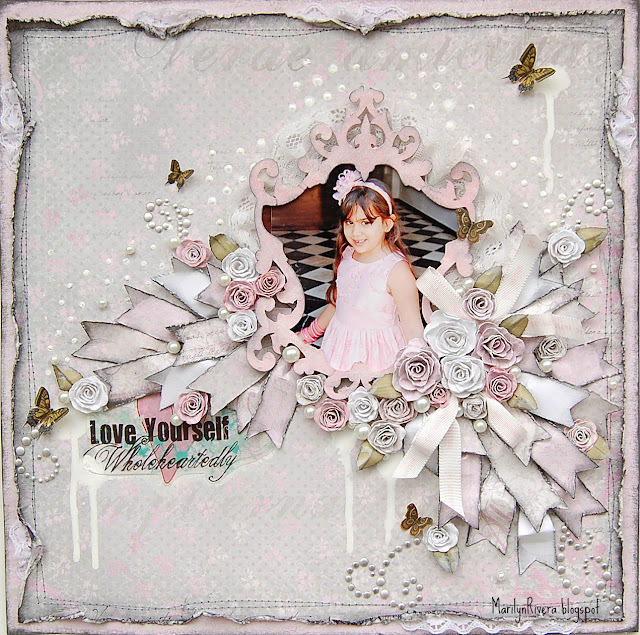 We have another gorgeous products to work with it this month Frosted Life by 13 ARTS, this collection has unique and fabulous designs. The challenge of this month is about us(The queen).... "whatever you want to talk about as long as it's all about you." This challenge is no-holds-barred...talk about your new year's resolution, your dreams, your childhood, your best and worst moments, what makes you laugh, cry, mad...what makes you feel beautiful...your best physical feature, what you wish you can change about yourself...your pet peeves, your frustrations, your favorite food, color...maybe a secret? whatever you want to talk about as long as it's all about you. Since we are talking about you...(the queen!). Here is our January theme that you need to follow. 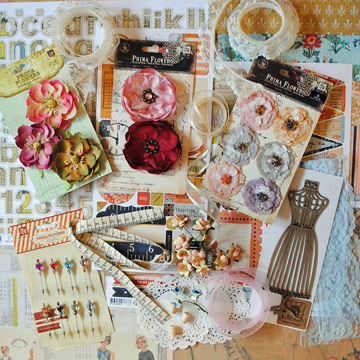 They are sponsoring the winner and our DT this month with this gorgeous paper collection. I hope you have time to play along with us. 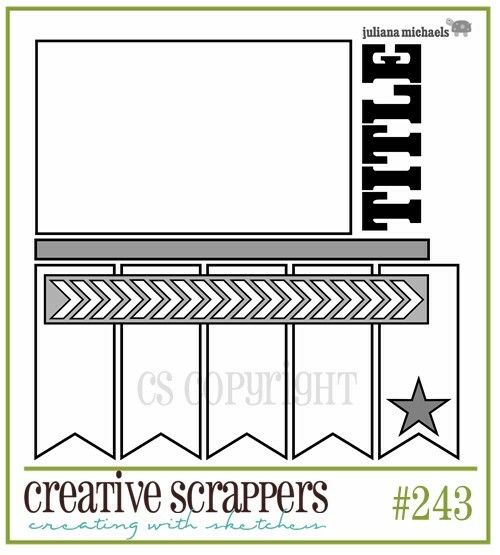 Creative Scrappers has a new sketch reveal today, this sketch is designed by Juliana Michaels and you can see many beautiful inspirations from the DT girls...Here. I worked with this Christmas collection, Sweet Season by Webster's Pages but in a different way...nothing about Christmas. With these same beautiful papers I created all the textures, I made the flower by hand and cut all the pennants and I love the final result. These papers have beautiful design in both sides that I used to create all these shades of colors. I added stitching, silver swirls, pearls, lace and butterflies. I also used gesso and acrylic paint. Hello!! I hope all of you are fine!!! 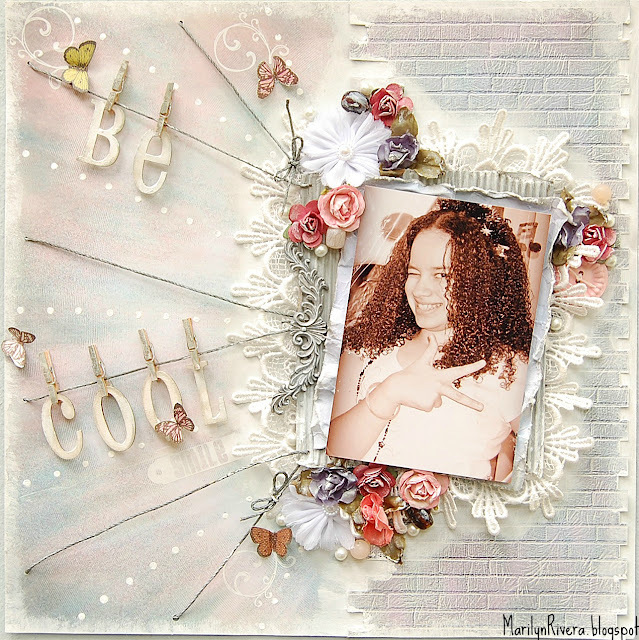 Today I'm sharing with you my work with My Creative Scrapbook- January Limited Edition Kit...you will love this kit!!! 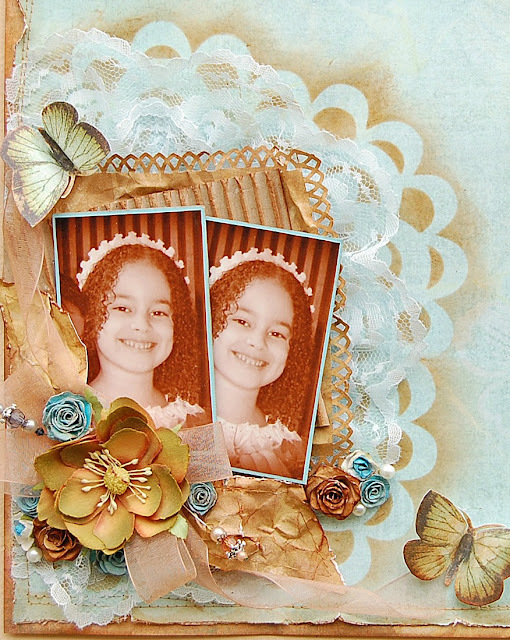 Both sides of these papers are beautiful but I selected the vintage side to work in this page. Here a memory when Paola received First Communion some years ago. For the mask, I used a die cut doily. For my tittle I used one of the sticker that comes in the kit. 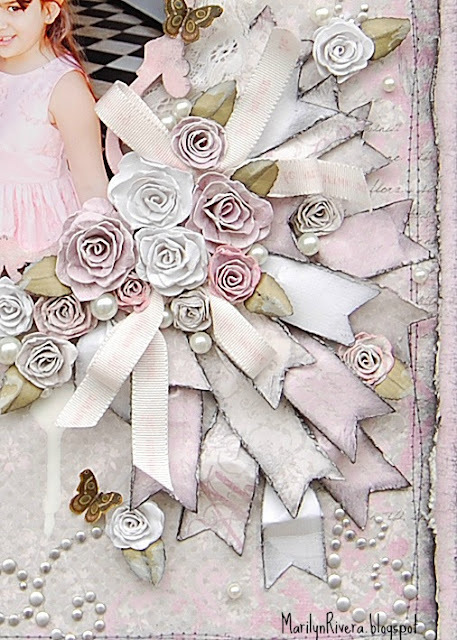 These beautiful pins are from Prima like these flowers all are in this gorgeous kit. Hello!! 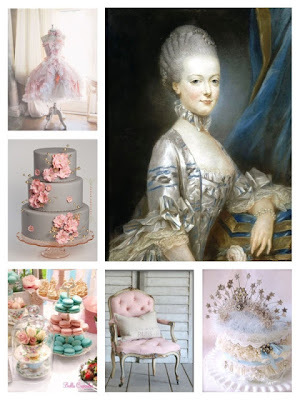 This is my page for Maja Design- January Mood Board. This mood board has been inspired by the Vintage Winter Collection but you can use any Maja Design collection you like as long you follow the color scheme. 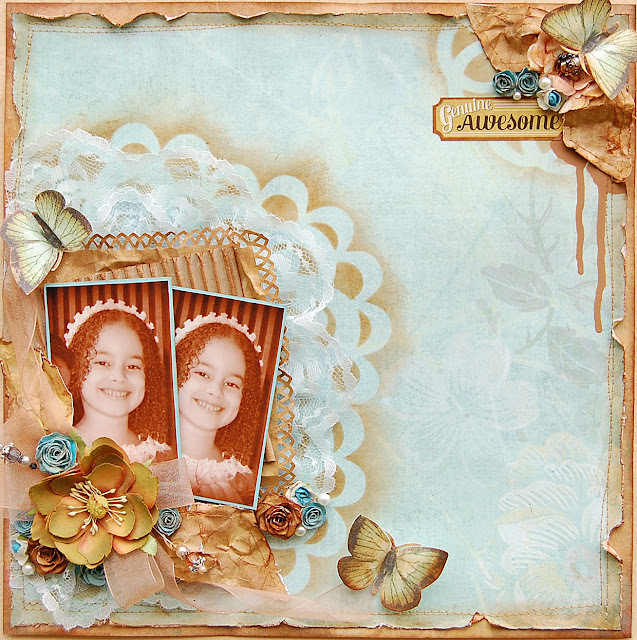 I used the Vintage Summer Basics 1899, 1914, 1916 papers in my page. 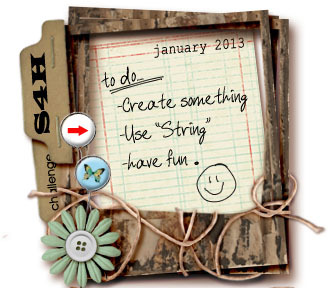 I also combined my page with Scrap for help- twine challenge, I used the twine for the bow. Can't wait to see what you will create with it!! Can't wait to see how you will use the twine! Thanks for stopping by and for all your lovely comments!!! Scrap For Help &Berry71Bleu teams andJanuary Challenge!!! Berry71Bleu Design Team- you will love their beautiful and unique handmade tags designed by the owner Marivic Clifton. 'This challenge is no-holds-barred...talk about your new year's resolution, your dreams, your childhood, your best and worst moments, what makes you laugh, cry, mad...what makes you feel beautiful...your best physical feature, what you wish you can change about yourself...your pet peeves, your frustrations, your favorite food, color...maybe a secret? whatever you want to talk about as long as it's all about you'. We would like to see what you will create in this month challenge!! !